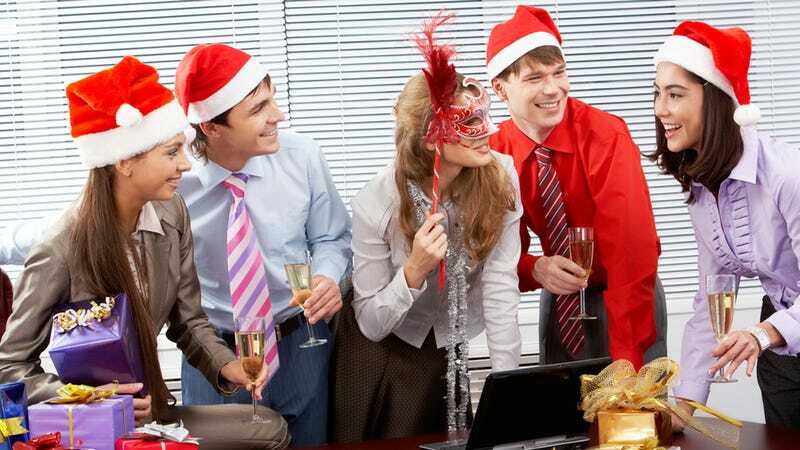 It's holiday party season, and you're probably spending your weekend hopping around from one festive fete to another. Did you think the world was going to end today? It didn't. Summary: The Mayans predicted that the apocalypse was happening on December 21. Your opinion: There were some legitimate ways the end could have actually come. But you didn't believe that would happen, did you? Most surprising fact: A lot of people tried to use our utter demise as an excuse to get laid. Did you know some of those Apple Store employees are totally corrupt ? Summary: When you're not watching, those people who are supposed to be fixing your gadgets can do some really horrible things. Making a game of destroying gadgets, looking through your data—that's just the start of it. Your opinion: Be nice to the staff at Apple Stores. Seriously. Most surprising fact: The employees would steal the gadgets, sure. But some employees would even steal the giant novelty gadgets used as window displays. We found one ex-employee with a "pretty large collection" that included a giant Nano and a giant iPod Touch. Did you hear Instagram wanted to sell your photos? Summary: Your favorite photo-filtering app changed its Terms of Service to say it could sell your photos for advertising. Everyone freaked out, so Instagram changed its mind. Your opinion: Screw it! Buy my photos. Most surprising fact: Instagram actually listened to people's criticisms. But if you're still a little put-off, here are some alternative camera apps. Question: When it's raining, do you get more wet running or walking? Summary: You think about it every time you're caught in a downpour. Do you run, and potentially catch more drops, or walk—and maybe not get so wet? Your opinion: Easy. You run. As Minute Physics explained to us, it's science. Most surprising fact: Do some people seriously slow down to dodge raindrops? Run for cover, idiots!